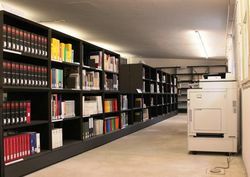 The library of the Documentation Centre for NS Forced Labor is a special scientific library open to the public after prior registration. 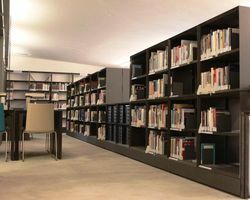 The library's holdings currently comprise approx. 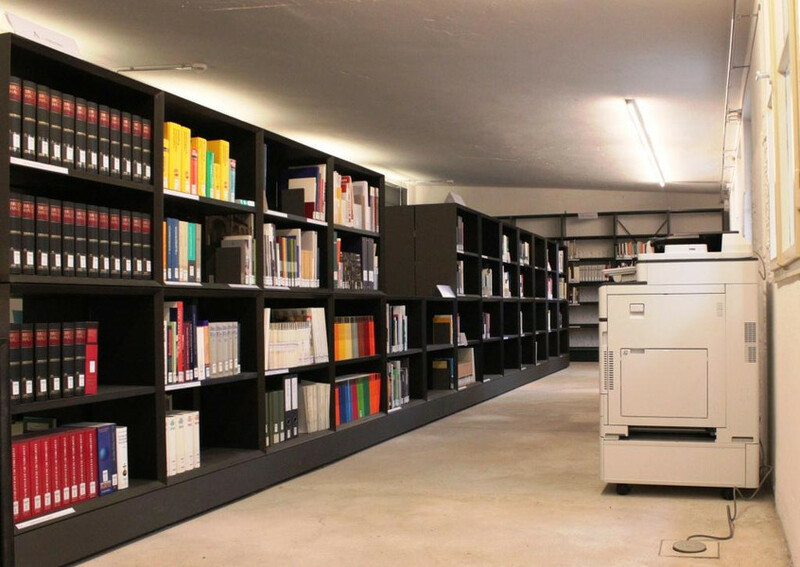 4,400 media units and over 5,900 journal articles. The library is a reference library. Copies are sent within the framework of interlibrary loan. The collection focuses on Nazi forced labour and the Nazi camp system. Further focal points are the state and society under National Socialism, the persecution and murder of European Jews and other victim groups, the Second World War, and the culture of remembrance. The collection is accessible via a systematic freehand list and can be researched via our online catalogue. We hold books in German, English, Italian, Polish, Russian, French and other languages. A research on site is possible on Tuesdays from 10-13 o'clock, Thursdays from 10-13 and 14-17 o'clock and Fridays from 10-12 o'clock and after arrangement. Individual and group workstations, a computer for research in the catalogue and in various databases as well as a USB scanner are available on site.